How did you get started in the design business? I attended design school in Los Angeles. After graduation, I worked for one of the top designers in L.A. I was the draftsman and delivery person. After a brief period there, I decided to start my own business in 1970. Rather young and naive, it took several years to get going and build what is today a very loyal clientele. The first two clients I started with in 1970 are still dear friends and clients. How would you describe your firm’s style? Rather than have a signature style, we are known for our ability to craft something original and personal for our clients. Since many of our clients know one another and have several residences, we approach each one as a completely new and original design. 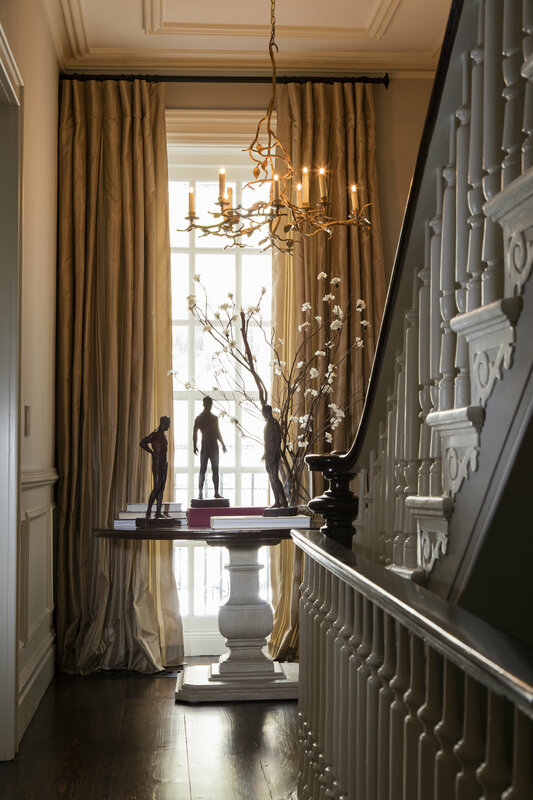 Our body of work spans modern, contemporary, classical, traditional and eclectic styles. At any time, we might be working on a modern residence in Malibu on the beach, a historical restoration or a Gulfstream jet. It's an exciting profession and limited only by imagination! What would you say you’re most known for, and what should new clients know about you? Perhaps the most common thread that you will see throughout our projects is a fastidious attention to detail and quality. We put our heart and soul into our work. Our clients appreciate our diligence and thoroughness. As a result, about 80% of our work consists of repeat clients. What are some of your favorite Southern California sources for inspiration? My favorite SoCal institution hands down is the Getty Villa in Malibu. Los Angeles is blessed to have so many cultural institutions. Examples include the Broad, MOCA, the Norton Simon and the Huntington. I'm an avid fan and patron of the LA Opera. Southern California is now home to some of the greatest restaurants and chefs in the country. Two of my favorites are Bestia and Osteria Mozza. I’m also a resident of Santa Barbara and spend a fair amount of time there. With excellent restaurants such as the Stonehouse at the San Ysidro Ranch and Olio e Limone, mountain hiking, and my favorite thing to do—walking on the beach at sunset—it’s one of the most special places in the world. Tell us about a favorite kitchen or bathroom that you’ve recently designed. This powder room is in a contemporary home in the Hollywood Hills. The client is a young man with sophisticated and very eclectic design sensibilities. The walls are covered in a cocoa colored, hand-embroidered silk fabric made in Italy. The embroidery design is by Macondo Silks with a distinct Art Deco style. The vanity was designed by MWA with Nugget fixtures by P.E. Guerin. The wall sconces are originals by Agostini, with wiring and shading by Paul Ferrante. The mirror is early-19th century Venetian. I love the blending of the different styles and elements.